Faster and Louder: That's right - a new Shattered Faith 7"! Here's one you won't want to miss. You've got Hostage Records - hands down the greatest California punk record label of the last 20 years. 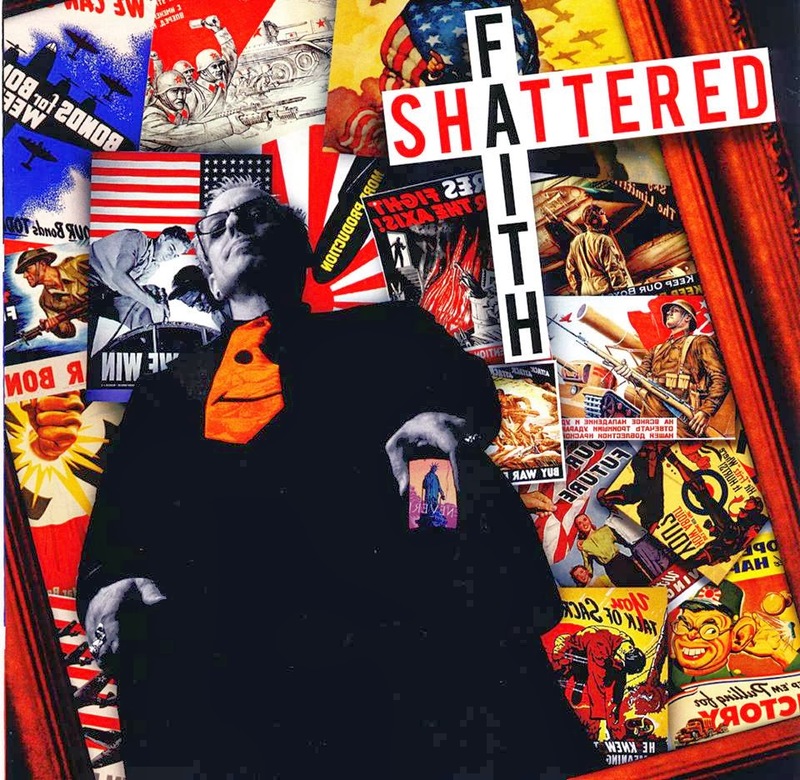 And you've got Shattered Faith - one of a handful of bands that truly defined the Orange County punk rock sound. Out now on Hostage is just the band's second 7" ever (hard to believe, eh?). It includes "Power To The Kids" - the first new recorded song from Shattered Faith since 1985! That's right: the last time these guys put out a new song, Ronnie Reagan was still president. Some of you weren't even born yet! If you're expecting this release to pale in comparison to the band's prior recordings, clearly you don't know a whole lot about Shattered Faith or Hostage Records. As anyone who's seen the band recently will gladly attest, Shattered Faith is still on top of its game and representing proudly for O.C. punk. It's not often that bands go 33 years in between singles without missing a beat. But this record is classic Shattered Faith all the way. In addition to the aforementioned ripper, you get the "lost" 1981 track "Suburban Boredom" and the previous live-only number "Mirrors Reflection". That signature style is still in tact - driving melodic punk with killer lead guitar work and lyrics that really have some something to say. "Power To The Kids" looks to the youth of today to fix this mess we've made of the world. "Suburban Boredom" is short and scathing and as relevant now as it was three decades ago. "Mirrors Reflection" is upbeat and tuneful and a nice switch-up from the band's more worldly statements. If you read the liner notes, it's obvious how humbled these guys are by all the love they still get from fans after all these years. They are grateful that they are remembered and hopeful that future generations will know of the music they're making now. Shattered Faith waited a long time to get a new 7" out, and clearly they've made the most out of the opportunity. This record, like the band that made it, is pure class. Great songs, great sound quality (it was pressed at the legendary Rainbo Records!). It's limited to 700 hand numbered copies. Get one before this release goes out of print in two blinks of an eye!